“After careful consideration of all of the available information, I have determined that the St. Louis City site is the agency’s preferred alternative,” director Cardillo said in a statement. “The St. Louis City site provides NGA with the most technological, academic and professional environment for this agency to develop the capabilities and solutions necessary to solve the hardest intelligence and national security problems entrusted to us by the American people." The city’s site includes 100 acres just north of the former Pruitt-Igoe housing development and would mean moving about 200 residents and a handful of businesses. St. Clair County’s location offers 182 acres of farmland near Scott Air Force Base, with another 200 acres available. The competition for the $1.75 billion facility between the city and the Metro East county has been fierce. All four U.S. senators from Missouri and Illinois lobbied to get the NGA. Offers of free land and infrastructure improvements were made on both sides of the river. The project is especially critical for the city, which has been home to the NGA campus on S. 2nd Street for 72 years. The agency’s 3,100 employees also pay more than $2 million in earnings taxes each year. After the Rams announced they would leave for Los Angeles, the project became paramount. 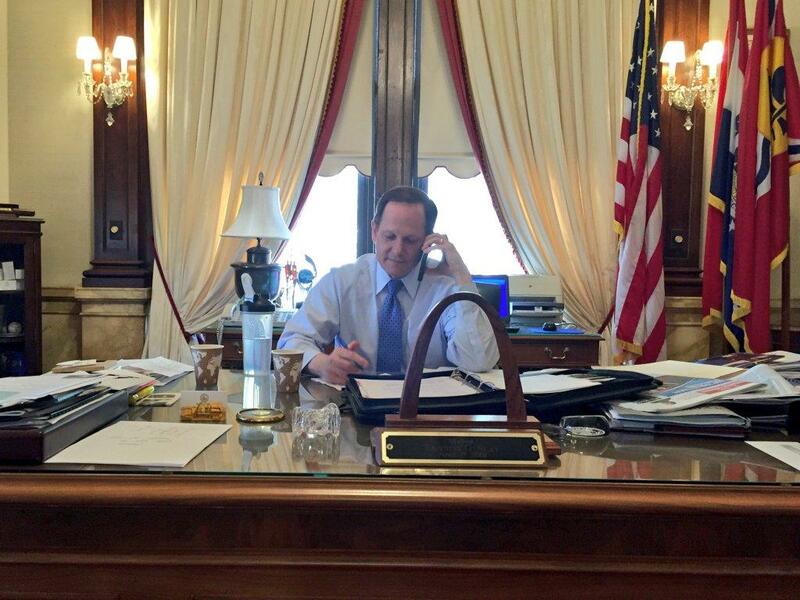 Mayor Francis Slay said the NGA's likely choice of north city was a "big win." "Building this headquarters where we proposed it would change the game in the heart of the city, reverse decades of disinvestment in a neighborhood and would be building adjacent to the Pruitt-Igoe site... which as we know has been sitting idle and vacant for so many years," Slay said. The mayor emphasized that the city would not lean back before the NGA's record of final decision in late May. He said he expects St. Clair County will continue to lobby for their site during an upcoming public comment period. "We’re not going to sit back on our hands and just take this for granted," he said. "We’ll be engaged in the comment period as well." Slay announced early last month that the city would match St. Clair County’s offer of free land. Officials said it was far too important of a project to lose over the $14 million the city had planned to seek from the NGA. In a statement, the St. Louis Regional Chamber called Thursday's announcement "a great win for the St. Louis region." NGA’s commitment to the region is a validation of our quality workforce and longstanding contribution to national defense. The agency will keep its 3,100 high-skill, high-wage jobs in the greater St. Louis area. The significant $1.6 billion investment for the new NGA campus will create hundreds of construction jobs and incentivize further development in St. Louis City. READ: Local politicians rejoice at news that NGA will stay in St. Louis. The city has estimated it will cost $130 million to buy land from property owners, clear the site and upgrade the infrastructure around the area. The state of Missouri committed $35 million in Brownfield Tax Credits and half of NGA employees’ earnings taxes, up to $12 million annually for 30 years. 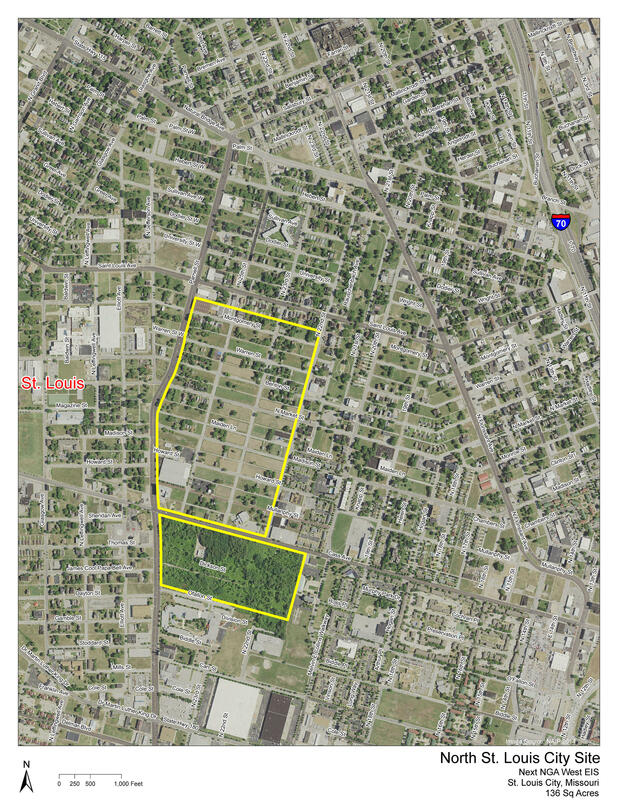 The proposed site for the National Geospatial-Intelligence Agency in north St. Louis. The city plans to use half of the $2.4 million in earnings taxes each year from NGA employees at the facility for the next 30 years. The city also took a $13 million loan using two city buildings as collateral to help fund the project. For many homeowners within the north city site, it’s been a waiting game. Sheila and Gustavo Rendon live on Mullanphy Street and have refused to make a deal with the city for their home. They’re a part of the city’s eminent domain suit to force homeowners to sell. Gustavo began a fast last month in hopes of pushing the NGA to make a decision more quickly. The St. Louis Board of Aldermen approved the use of eminent domain early in 2015. Soon after the city’s Land Clearance for Redevelopment Authority began trying to reach deals with property owners. In one case, the city has committed to moving an historic three-story brick home. The deal came after the home owner delivered thousands of signatures to the NGA in opposition to the urban site. The city’s eminent domain suit expanded late last month, adding 13 more parcels to the original suit filed in December. 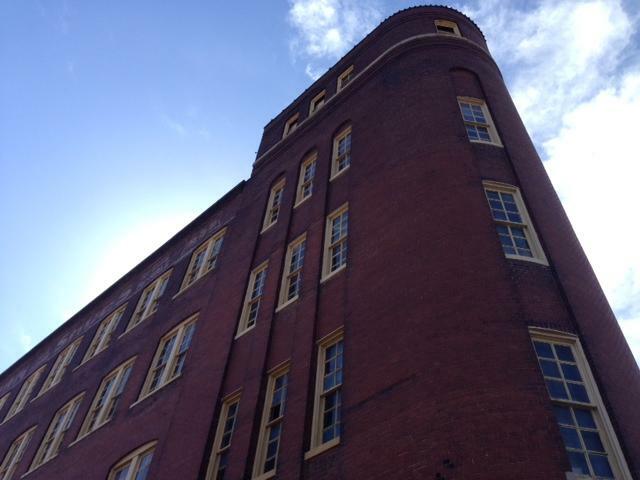 That includes the Buster Brown Blue Ribbon Shoe Factory, which is on the National Register of Historic Places. The next hearing in that suit is scheduled for Monday, but it’s likely the suit will not wrap up until May. Developer Paul McKee owns more than half of the land within the site for the NGA. After months of back and forth, he reached a deal to sell the land to the city in December. Details of the agreement won’t be made public until the city closes on the land. McKee stands to win in other ways. The city’s Land Clearance for Redevelopment Authority took over a $17 million lawsuit against McKee from the entity Titan Fish Two as leverage in the negotiations. The city bought those credits and 46 parcels McKee lost to Titan Fish Two in a $5 million agreement late last summer. The city said it would drop that case against McKee if the NGA chose the north city site. The greatest benefit to McKee is land the $1.75 billion facility in the middle of his massive two-square mile development area. After years of little progress, McKee announced a new grocery store and gas station just last week. The developer said announcements on new housing projects and his long-promised urgent care are just around the corner.